Even if you and your family are not facing illness, the holidays can still be a stressful time. 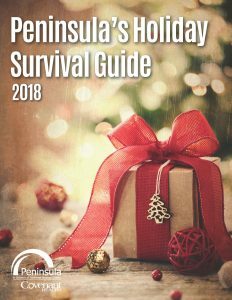 Whether your concerns are about family gatherings, budget constraints, overindulging in holiday feasts, too much busy-ness, or the “holiday blues,” our 2018 Holiday Survival Guide can help put some “ho-ho-ho” back into the season. Download your free copy today!